The lyrics in “Everybody Hates Me” detail just how damn hard it is to be famous, and just how damn anxiety-inducing it is to be famous on social media—“I post a picture of myself when I’m feeling lonely,” Pall sings. The latter is a sentiment we can all understand: no one expresses their truest self online. But is that a bad thing? Musically, too, the song mirrors the Chainsmokers’ recent move away from EDM and towards radio alt-rock, a la their Twenty One Pilots’ worshipping track “Sick Boy” from earlier this year. 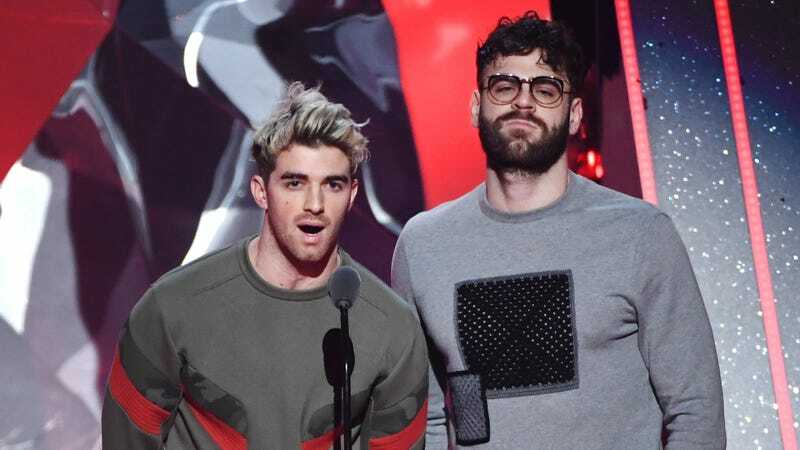 It really looks like the Chainsmokers are working to move away from their days as fist-pumping festival headliners to, instead, like, wallow in their emotions. I’m here for either one, just so the sad bros know everyone doesn’t hate them.